In her early thirties, Ondine Sherman thought she had it all. She&apos;d fulfilled her lifelong dream of a career in animal welfare; was happily married to her soul mate, Dror; and had a happy, healthy daughter called Jasmine. But life started to unravel for Ondine after the birth of her idential twin boys, Dov and Lev. 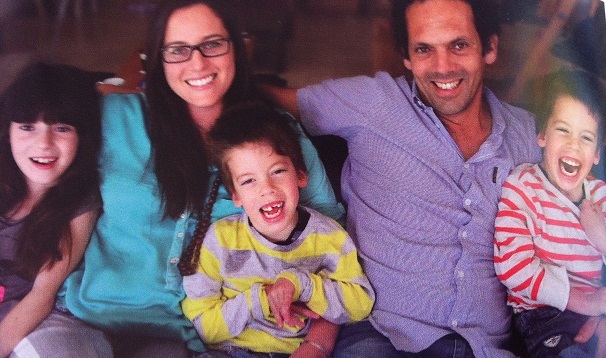 By six months of age they were failing to meet some important early milestones, forcing Ondine and Dror to embark on an odyssey of consultations with doctors and specialists. After months of fear and uncertainty, they finally received the shattering diagnosis that their sons had a rare genetic condition. 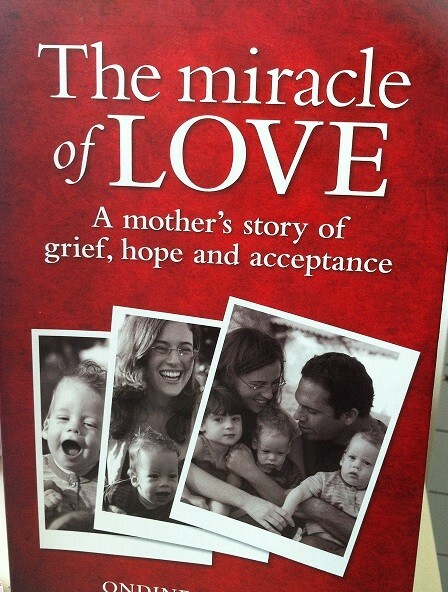 The Miracle of Love is a searingly honest book about a mother&apos;s struggle to come to terms with the fate of her beloved twin boys, and her spiritual journey towards acceptance, love and a different idea of perfect. At three months Dov and Lev still hadn&apos;t looked at me and smiled. I kissed their pale little faces, tickled their feet and raspberried their tummies: nothing. I referred to and cross-checked my baby reference book, What To Expect the First Year, which I&apos;d followed religiously with Jasmine, and became a little concerned. Just as we made an appointment with the paediatrician, their little smiles arrived and all was well. But slowly, the twins started missing the milestones so clearly listed in the book: holding their heads up at ninety degrees, rolling over, holding their bottle, making vowel sounds and copying facial expressions. The authors, careful not to worry new mothers, clarified that if it didn&apos;t happen, it was probably fine. Only when the same item, such as "they should be bringing their hands together to clap", was listed for several months did they suggest you see a doctor if your baby still hadn&apos;t done it. My babies were small, they were twins, they had been squashed inside me, and so eventually I put the book back on the shelf. Enough, I thought. Stop worrying about every little thing; they will develop at their own pace. I watched them bashing the swinging octopus as they lay on their backs next to each other on the play mat, eyes bright and focussed. "Not every child is the same," I declared to Dror. "They are fine." "Hi, I&apos;m Emma," said a woman, sitting down next to me. "Nice to meet you," I said. "You have kids here?" "Yeah – over there, the boy with the red T-shirt and the girl in the flowery dress." I looked at two pretty blond children running past, chasing an older girl. "That&apos;s Jasmine down ther …" I pointed to the riverbank. We both watched her for a moment.
" 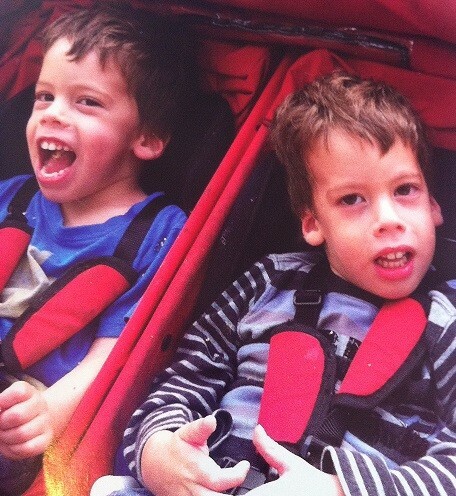 … and I have twin boys as well," I said cautiously. "How old are they," she asked. "Wow – hands full!" she said, smilling. "Do they get along with each other?" "Yeah … pretty much … Sometimes a bit jealous … It&apos;s nice that they …" I sounded unsure. Behind me I saw Efrat parking the pram with Dov and Lev and walking towards the toilets. A cool shadow fell over the picnic rug. Lev started whining like a cat&apos;s meow. "Pick me up!" he was saying. I stood up mid-sentence and took him out of the pram. He flopped onto my lap; the handkerchief around his neck that caught his drool was already soaking wet. I wiped his leaking mouth. Emma looked at him, then back at me. I was acutely aware that my boys did not fit into this scene of sun-kissed little feet and pastel-pink skirts flying as kids chased the Easter Bunnny along the riverbank past happy perfect families laughing in the sunshine. I gave Lev a ferocious kiss and looked at Emma. Awkward. What should I say? Was it my responsibility to explain my child to her? I could not find the right words. A few possibilities raced through my mind: "They&apos;re developmentally delayed." Was it even correct? I didn&apos;t think "delay" was the right description since it suggested catching up. "They have special needs." This was the phrase I liked and used most, but it was open to interpretation. I suppose that&apos;s why it appealed to me. It could just as easily refer to a food allergy as thihs flopsy bunny on my lap. "They have problems," I said. I smiled and so did she. Others arrived back from the river. "Nice talking to you," said Emma, gracefully moving on to chat to others. Why didn&apos;t I say anything to Emma? I wondered. I had short-changed myself yet again, missing an opportunity to be honest. I sat on the muddy brown grass near the water. Lev wiggled his toes in the dirt. I could feel his pleasure like it was my own. I knew I needed to stop pretending, not only for myself but also for my children, and to challenge our superficial Stepford Wives society. Next time I would break the picture-perfect setting of a sparkling green-grass day and say in a confident tone, "Dov and Lev have disabilities." Read more about this book at allenandunwin.com and purchase your copy here.